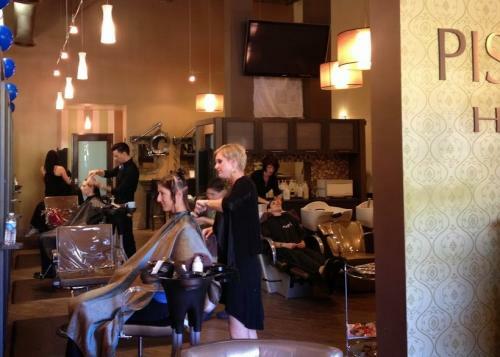 Pistachio Autism April Cut-a-Thon was a Big Success! We had a fantastic time hosting this important annual fundraiser that’s near and dear to our heart. We were at full capacity with all of our hair stylists on board and busy doing great hair in support of this worthy cause to raise awareness and funding to Cope, Study and Cure Autism. You can check out some great pictures from this special event in our website gallery or on our Facebook page. Feel free to share, tag and comment to help raise further awareness. A big thank you to all those who attended and made the event a success. A special thanks goes out to the LCYO’s Champions League and the San Diego Autism Society for helping promote the event. Also, our thanks to our sponsors: Lucky’s Pizza, Mariah’s, Stretch U, Soup Plantation, and Origami Owl. And last but not least, thank you to our team for coming to the salon on a Sunday to support the cause. We hope that you will continue to join us in our continued efforts to Cope, Study and Cure Autism.